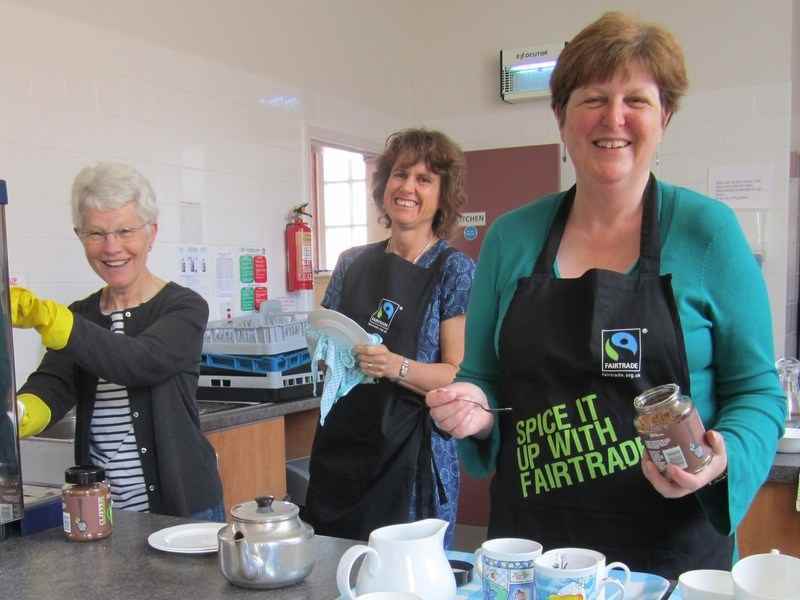 Fairtrade Fortnight 2015: What Good can Fairtrade Do? A presentation and talk by Charles Chavi, a sugar producer from Malawi. at the Central England Society Cafe, Scalford Rd, Melton Mowbray. 27th February 2015. 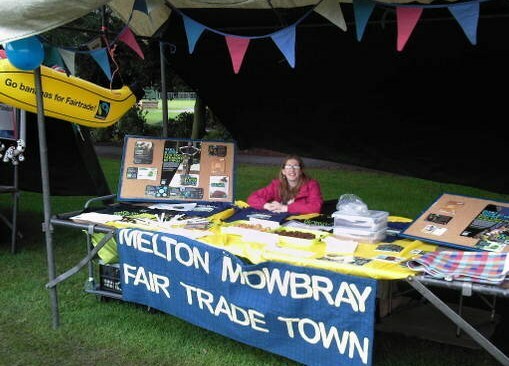 Fairtrade Fortnight 2014: Go BANANAS for Fairtrade - click here to check out the Fairtrade fortnight website on the link page above and look out for our stall in the Melton Mowbray Marketplace March 1st. May 2014: The Fairtrade Fashion show profiling the summer range of Fairtrade clothing available directly from suppliers or via the Fairtrading Post. Returning by popular request. An on-line search for fairtrade clothing will show you lots of fabulous fashionable option which give you a good look and producers a fair wage for their efforts. Winners of the competition, makers of the fabulous flapjack, flavoured with great Fairtrade ingredients, were Pat Thorpe in the adult section and Jessica Wade in the children's section, judged by Mayor John Illingworth. A shallow baking tin, 7” square, greased – or line with baking parchment. Put the butter, golden syrup and sugars into a large pan and stir over a gentle heat until the sugar and butter are melted. Then stir in the rolled oats, making sure they are all well coated. Put the tin onto a cooling tray – after 10mins, mark out the portions and leave to cool completely in the tin. Then cut into portions and store in airtight tin. When you stir in the oats, add a handful each of Fairtrade golden sultanas and Fairtrade raisins or Fairtrade apricots or Fairtrade mango or Fairtrade chocolate etc (80 - 100g of each) or 60g glace cherries, chopped. You can make a breakfast bar by chopping up a handful of dates, putting them in the pan while the butter and sugar melt, then adding some sunflower seeds or Fairtrade nuts. Experiment and enter our Fairtrade Bake-Off competition! Fairtrade ingredients available from: The Fairtrading Post, Thorpes Wholefoods and local supermarkets. Oven Gas 4 / 180C. 7” x 11” shallow tin. Grease or line with baking parchment. Melt the butter in a pan. In a large mixing bowl, stir together sugar, flour, cocoa and oats. Pour melted butter over and stir well to mix. Turn into the prepared tin and press down well, smoothing the top. Bake for 10 minutes exactly. Remove from oven and cool on a wire rack. To make the icing, melt the butter and add the coffee. Sift in the icing sugar and beat together. Spread over the cooled cake and make a pattern with the prongs of a fork. Leave to set, then cut into 12 slices. Beat in eggs one at a time, plus vanilla, then stir in flour and cocoa. Beat until smooth. Pour into tin & smooth surface. Bake for 40-45 minutes, until top evenly coloured until cocktail stick comes out almost clean - i.e. with a few moist crumbs attached. Don't overcook it! 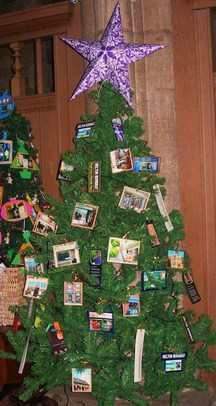 Cool in the tin, turn out onto a board and cut into squares. For variety try the Divine dark chocolate with ginger & orange or add some chopped Fairtrade nuts (macadamia, walnuts, cashews). Sift the flour into a mixing bowl, add the butter/margarine cut into small pieces and the peanut butter. Use a knife to cut and mix all together or your fingertips to rub in until the mixture resembles fine bread crumbs. Put the honey and sugar into a small pan and warm gently together until the sugar has dissolved. Then pour the honey/sugar over the flour mixture and mix very well with a fork to form a firm dough. Turn onto a lightly floured table and knead lightly. Divide the mixture into 20 pieces, roll into balls and place, well-spaced, on the baking sheets. Then press the balls flat with a clean, damp fork. Bake for about 12-15 mintues until they are a pale golden brown. Leave on the baking sheets to harden for a few minutes, then lift off and leave to cool on a wire rack. When cold, store in an airtight tin. The Fairtrade town steering group joined in the celebrations in Play Close to welcome the Torch, with a stall exploring links between countries making Fair trade produce and sending athletes to the London Olympics. A quiz helped to raise awareness. 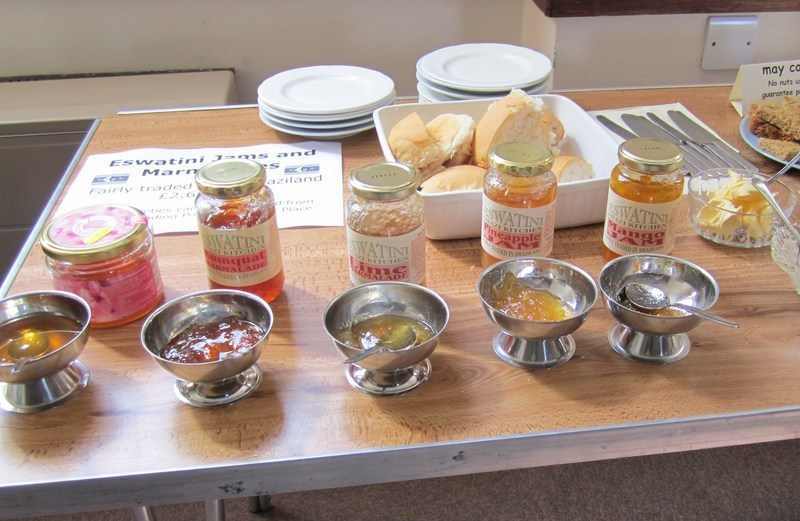 In May 2012, as part of a national promotion for fairtrade products with a breakfast theme, the steering group hosted a breakfast at the Sage Cross Methodist church in the centre of Melton Mowbray. Around 20 folk dropped in to enjoy a cup of coffee or tea and sample a fairtrade flap jack, some of the Eswatini marmalades and jams from Swaziland or enjoy a bowl of fairtrade muesli. Ingredients for the breakfast, including the flapjacks (see recipe below) were purchased from some of the numerous stockists around the town.